Veneer and silver over watercolour landscapes. 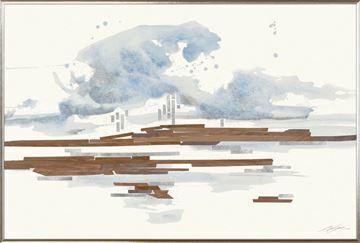 Pearce has contrasted walnut veneer and silvered pieces against the fluidity of watercolour washes in these two contemporary landscapes. 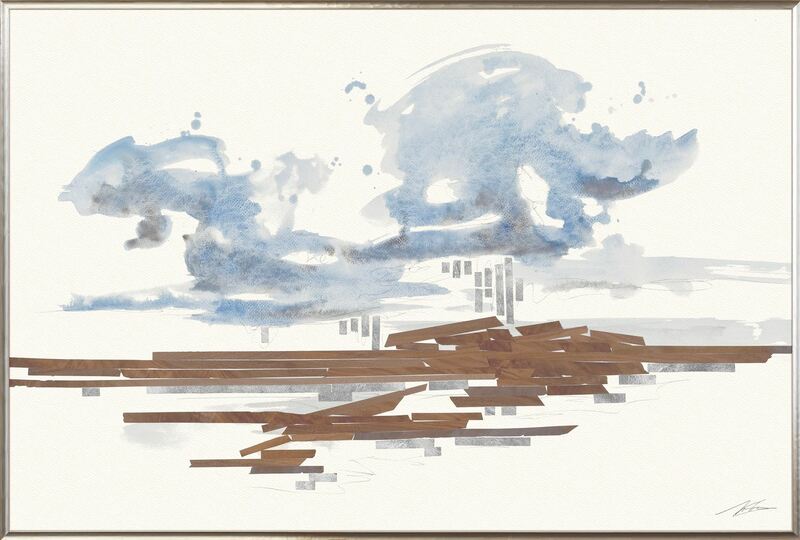 Set within a deep frame space in a driftwood-toned profile with silver face.